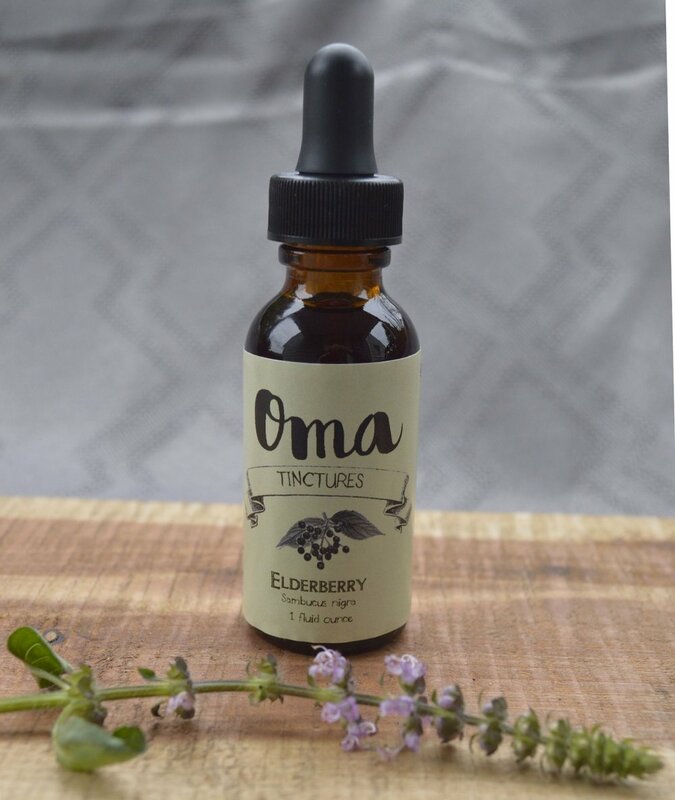 All tinctures are handcrafted with the highest grade ingredients and made exclusively from Oma herbs. Ingredients: Holy Basil, Organic Cane Alcohol, and Distilled Water. Ingredients: Stinging Nettles, Organic Cane Alcohol. Ingredients: Dandelion Root, Organic Cane Alcohol, and Distilled Water. Ingredients: Milky Oats, Organic Cane Alcohol, and Distilled Water. Ingredients: Spilanthes, Organic Cane Alcohol. Ingredients: Elderberries, Organic Vegetable Glycerine, and Distilled Water. Ingredients: Motherwort, Organic Cane Alcohol, and Distilled Water.